My kinders LOVE LOVE LOVE these! After brainstorming words as a whole group (or small group/guided reading group), have students create their own list by drawing a picture of a word family word and then writing or "stretching" the corresponding word. Students love to draw which is why they love these! 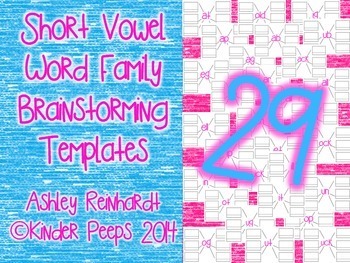 This is a fun alternative to a word family worksheet/cut and paste!